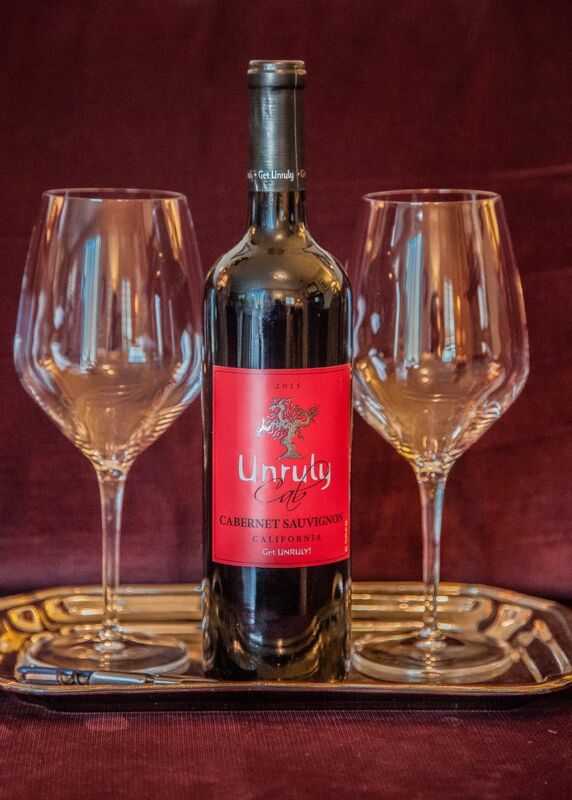 Our friends, The Artist and the Alchemist, had recommended that we try Unruly Cab for a bargain wine of the week. They had been drinking it as a cheap mid-week drink. At Bevmo it is $12.95 per bottle, but it is a regular feature in that store’s 5c sale; where the second bottle costs a nickel, making the cost a very reasonable $6.50. California Girl comments: Everyone needs an affordable bottle of go to wine that they can sip and enjoy on a Tuesday night. Our bargain wine of the week is a chance to seek out those bottles so we can share them with you. These wines can also serve as your third bottle of wine bottle, or your party with your friends without going broke wine. They have their place along with fine bottles to be savored over dinner or a bottle you open for a special occasion. The thing about wine is that one type doesn’t fit all situations (or budgets!). 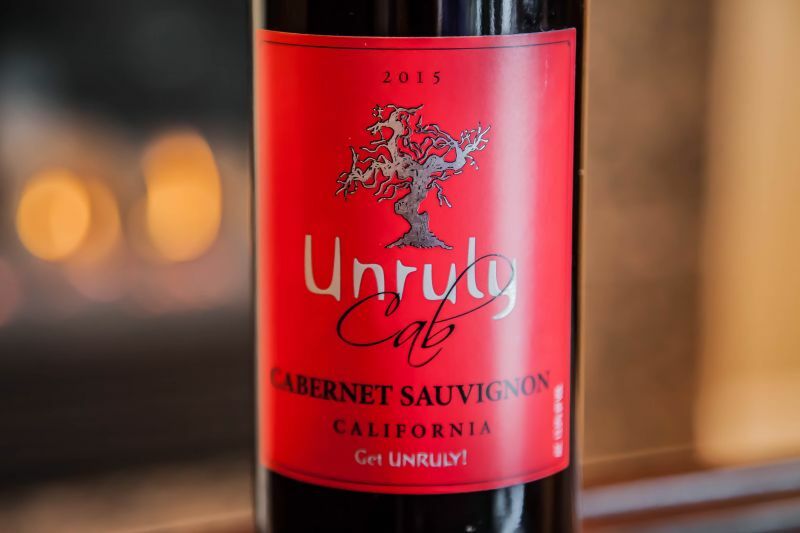 I opened the bottle of Unruly Cab an hour before tasting, but I still found the nose to be very muted; earthy notes with just a hint of fruit. The taste was thin, but well balanced. The tannins were soft, especially for such a young Cabernet Sauvignon. Light swirls of raspberry emerged in the finish. My note from that initial taste says not actively unpleasant; which as I drank more seemed unduly harsh. The wine is easy to drink, with no component out of balance; it just lacks anything remarkable. However, at the price, I think that the lack of offensiveness is noteworthy. California Girl comments: Oh Brit, I disagree with you on this one in so many ways. First, I found the wine to be very fruity and lush. I was amazed at the nose was just full of fruit and baking spices. Maybe because we allowed it to breathe it really had character. I spent quite a while enjoying the nose before the first taste. The flavor of the wine was surprising. This isn’t a big huge cab. It was soft, and fruity. If you would have given me the glass and asked me to identify the grape I probably would have guessed Merlot. The whole body of the wine and the profile was far closer to that. It had a thinner weight in the mouth than a cab too. It did not stop me from enjoying its flavor. It is a soft and smooth drinker that I think will be a real crowdpleaser. 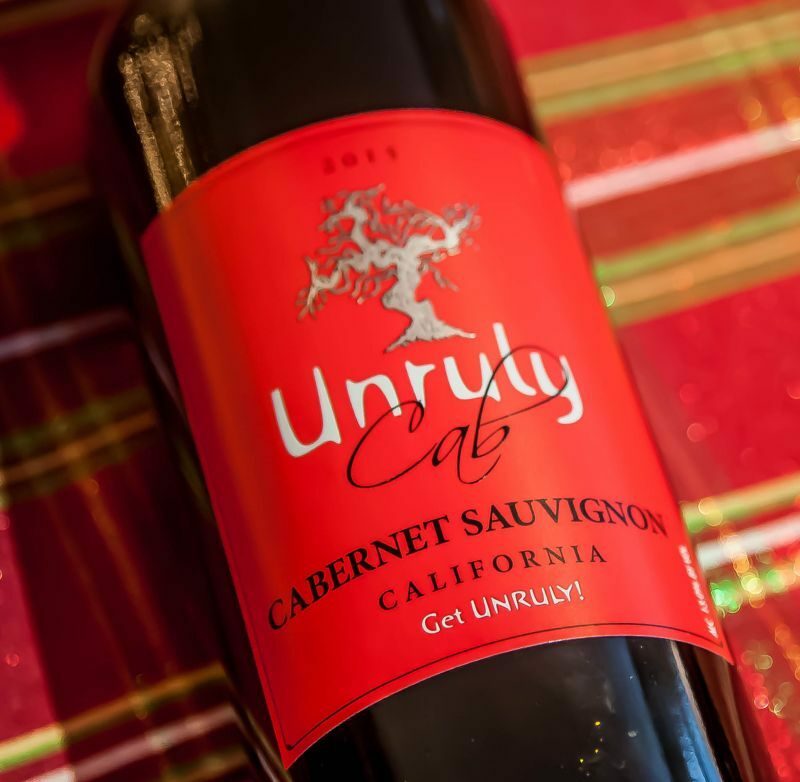 The origin of Unruly Cab is described as California, so the winemaker can use grapes from anywhere in the state.